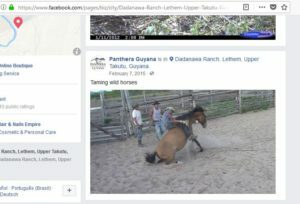 Is this how our wild horses will be treated once “adopted,” and shipped overseas out of BLM’s jurisdiction? 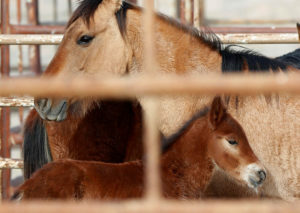 As officials explore options to manage the population, horse advocates fear relocation could lead to animals being slaughtered. Jim Urquhart / Reuters Wild horses stand in a corral as the Bureau of Land Management (BLM) gathers the horses near the Sulphur Herd Management Area south of Garrison, Utah, in this Feb. 26, 2015, file photo. The Bureau of Land Management is reviewing a pair of proposals to relocate wild horses from the western United States to Guyana and Russia, part of an ongoing effort to manage the growing population. 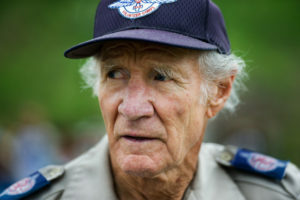 British cowboy and philanthropist Stan Brock told HuffPost he has been working with the governments of the U.S. and Guyana for several years to develop a plan to transport mustangs to the South American country. Brock managed Guyana’s remote Dadanawa Ranch, one of the world’s largest cattle ranches, in the 1950s and ’60s. He later moved to the U.S. and in 1985 founded Remote Area Medical, a nonprofit that provides free medical and veterinary care. He sees importing the horses to Guyana as a way to revive the country’s once-thriving livestock industry. Indigenous cowboys could use the horses to round up free-roaming cattle on thousands of acres of isolated savannah. Managing the wild horse population in the U.S. is an expensive and contentious issue. In addition to the approximately 45,000 wild horses and burros currently in BLM holding facilities, there are an estimated 82,000 free-roaming animals across 10 western states, according to the agency’s figures. The BLM spends roughly $50 million annually on the confined herds and periodically rounds up free-roaming animals, a move it says is necessary to protect rangeland health. Critics, however, accuse the agency of kowtowing to cattle ranchers and overstating the impact horses have on the environment. Moving horses to Guyana would not only relieve some pressure on the confined horse population but help “restore the livestock industry for the benefit of the Native American population,” Brock said. 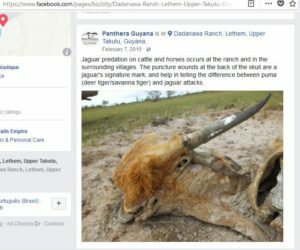 The proposal he submitted to BLM calls for an initial transport of 40 to 50 mustang mares, but Brock says he’s looking to relocate “a much larger number later on.” He is convinced the animals will adapt well in Guyana. BLM spokeswoman Amber Cargile said the agency continues to explore options for managing wild horses and is “always interested when someone suggests a way to provide good, permanent homes for excess horses.” She confirmed BLM is “evaluating Mr. Brock’s proposal,” but that no final decision has been made. Brock says he’s been in constant contact with the BLM and stressed that details are still being worked out. PAUL J. RICHARDS via Getty Images Stan Brock, the founder of Remote Area Medical, has proposed relocating around 50 wild mustangs to Guyana in an effort to revive the ranching industry in the South American country. The plan is being reviewed by the Bureau of Land Management. Asked to comment, the State Department deferred to BLM. Brock first approached BLM about purchasing mustangs more than eight years ago, but the plan fell through due to a lack of financial support for transporting the animals, according to documents the Wild Horse Freedom Federation obtained through a public records request and shared with HuffPost. The emails show Brock revived his proposal in June 2012 after an undisclosed financial group expressed interest in covering transportation costs. Ball said the plan was to use the horses to create a Western-themed resort that would primarily target Chinese eco-tourists. 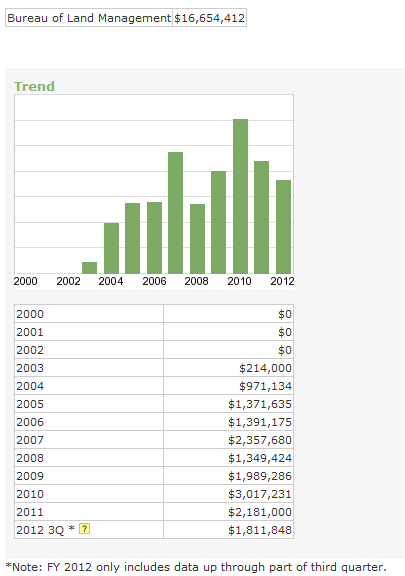 The proposal, which Ball has since scaled back, expanded on one he submitted back in 2011 that angered horse advocates. Ball was looking to obtain 2,000 horses as part of a pilot project to relocate animals to eastern Russia, where he noted the animals would have plenty of room to graze and could serve as potential prey for imperiled predators. Is the Path to War Through Border Disputes? The corporate intelligence firm, Stratfor, which works closely with the US government, recently published a report that could be laying the groundwork for a border dispute. So now there are EIGHT TWO THOUSAND wild horses “roaming” the 10 western states?? 82,000? Producing litters again, I guess. These proposals must have the BLM licking their chops – in a manner of speaking! There are no such thing as “British” Cowboys time nor were there ever any native Americans of south America traditionally raising cattle since cattle did not exist in any form in south America Hell they didn’t have bison past upper mexico. This whole article is somebodies bad idea of actual fake news. why would south America import North American mustangs when they have their own huge herds of wild horses already? Besides the usual misinformation the BLM gives to the media, there are also, in my opinion, the skewed perspectives of Stan Brock and Lon Ball. But this reporter helped get the word out about BLM considering these ridiculous plans for America’s wild horses and burros. This is insane. Since when does South America have a shortage of horses OR cattle. They have a thriving slaughter industry for horses. 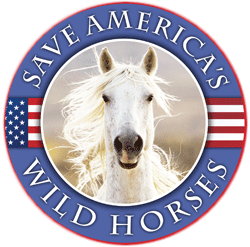 82,000 free-roaming wild horses????!!!!! There really needs to be an advocate organized count of wild horses per western state that is highly documented so it can’t be disputed. The BLM is full of false statements and here is one example. Twin Peaks HMA in NE California. BLM just released their wild horse and burro statistics and stated there are now 3,180 wild horses and burros on this HMA. Take a look at this video to see for yourself that the wild equine are few and far between on their congressionally designated legal lands. BLM will do ANYTHING to get rid of our wild horses. Both countries already have plenty of horses and don’t need ours. Many would die during shipment alone. I’m really at a loss of words here. Yet agree with a quote, that humans are a plague upon this earth. Blm is a bunch of crooks stand up for our horses. Our horses belong here free. Fight now please. Please don’t let these poor horses be subjected to a fate almost worse than death? All these idiots at the BLM and in Washington care about is getting rid of the horses; they don’t care about the painful and stressful transport without being given water to a foreign country, to face God only knows what when they get there. At least here in the US there is some semblance of animal protection laws. And why would anyone want to revive the livestock industry? It causes nothing but misery for the livestock and surrounding wildlife. It looks like the country isn’t going to need any help. Blm….you are a no good lying bunch and I for one want you replaced by John Cox and other horse people that will preserve our Wild Horses instead of murdering them by you and your nogood ways. Uou need to step down….Now….before a Equine Revolution starts and you are unseated….bow out now….leave the taxpayers horses alone….step back….and step away…. Pmet stop the senseless destructive killing of our American icons…. This is unacceptable and animal cruelty and abuse. If a citizen of the United States treated horses the way this committee does they would be prosecuted and jailed. Shame! Shame! This is government CORRUPTION! You don’t serve cattle ranchers you serve the American people and want you to leave them alone and not send them to known kill buyers and experience a horrific slaughter death. No ethics no morals here! Power run out of control. Disgusting!! !